The Walking Dead is a complex series. On the surface it is all about the horror and gore and it is not a show that is easy to recommend. Unless of course you really love zombies. In fact, after two seasons of watching walkers dripping with blood and rotting flesh I had to force myself to take a deep brave breath before embarking on season three. 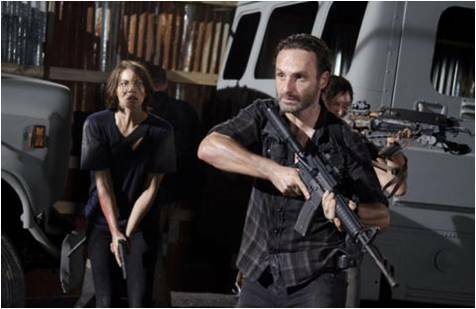 It’s easy to become preoccupied with the walkers, especially in a show named after them. The interesting thing though, is that the more the series progresses, the less you notice them. Season one was all about coming to terms with what had befallen the world and pure survival. Season two focussed on continued survival but very much more at a group level and the inner politics involved. While the walkers were still a threat I would argue that the larger threat came from within. Season three has taken it one step further and focuses on the threat from other humans. The fear and suspicion of the ‘unknown’ is at the forefront and there are many incidences where the group chooses to ignore or reject other humans in desperate need of assistance. Some suspicions are warranted while others are rooted purely in fear and paranoia. The walkers can still be deadly however our group of humans have become experts at defending themselves and killing the walkers in their stride. It is therefore little surprise that the main threat from the walkers is now an emotional one, when someone they care about has been turned and must be killed. In fact the walkers are not even close to being the most evil presence in the latest season. Some of the episodes can move quite slowly but others will leave you on the edge of your seat. If you enjoy an intelligent drama and are not put off by decomposing bodies I suggest you take a look at TWD. It is a series which explores the complexities of human relationships and emotions. It also makes you think, put in the same situation, what choices would you make for your survival and the survival of those you love? 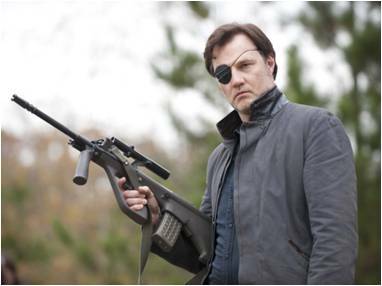 If you watch TWD, who do you most identify with? For those who have watched all three seasons, check out my choice picks for season three. « The Lizzie Bennet Diaries – a modern take on Pride and Prejudice	» The Good Wife, why after four seasons I am loving it more than ever….